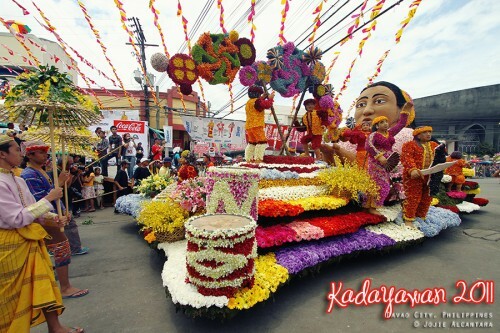 Yes, I know you have been anticipating for the Kadayawan big events like the Indak-indak sa Kadalanan (street dancing competition) and the Pamulak (Floral Float Parade). But there are actually more events apart from those, which will be happening (or currently are happening) this month of August. 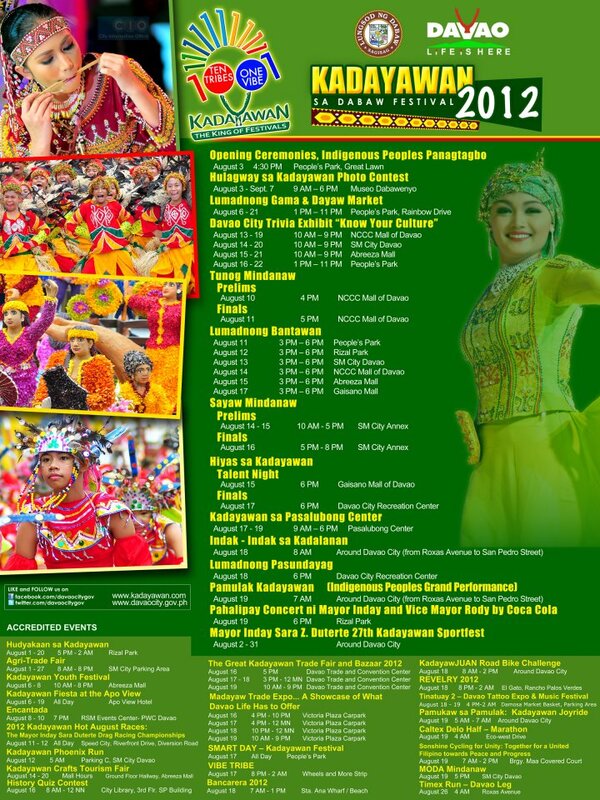 I thought it is a good idea to share with you the list of accredited events in relation to the Kadayawan festival month-long celebrations. So, below is the list of these events. 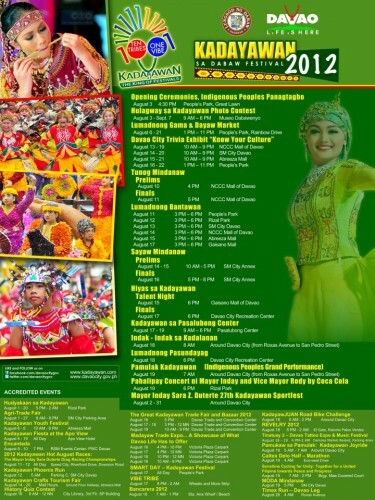 You have been waiting for this – the Kadayawan Festival 2012 Official Schedule of Events. Check out the information below and find out if you can catch some events slated for all of us Davaoenos.